Clastic rocks are fragments and pebbles of older rocks that have been cemented together to form new rocks. Clasts is the name given to the individual rock fragments. The clasts are divided into groups by their size. Geologists use the Wentworth Scale to determine the size of the clasts and the rock type. Sandstone is created when sand-sized particles of rocks are cemented together. The most abundant mineral found in sandstone is quartz. Running water and wind carry grains of quartz into areas of large sedimentary beds. 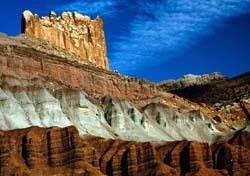 The sedimentary beds eventually turn into sandstone. Shale rocks are created when microscopic pieces of weathered rock are cemented together. Layers of silt and clay are carried into the oceans by floodwater. The individual particles are so light they settle offshore on the ocean floor. The lighter and smaller the particles the further they drift in the ocean before settling on the ocean floor. Shale and mudstone are two examples of rocks created from silt and clay. Conglomerate rocks contain small rounded rocks larger that are gravel size or larger that have been cemented together. Sand-size or smaller particles are cemented between the larger gravel. The gravel or cobbles that make up the rock have rounded edges. Breccia rocks form from large fragments that have sharp edges and have not been rounded off in streams. They are often found in fault zones where the rocks are broken when blocks of rocks move on the fault line. Pyroclastic Material This page gives all kinds of information about volcanic material that forms during volcanic eruptions. Organic Rocks Learn how animals extract calcite out of ocean water to form shells that are organic rocks. Limestone Caverns Learn how limestone caverns form and where you can visit some of them. Basalt Rocks Basalt rocks cover the floors of all the oceans, create cinder cones and form the largest volcanic mountains on Earth. Salt Domes Learn more about how salt domes form, what they are used for and how they are sometimes a key to find oil. 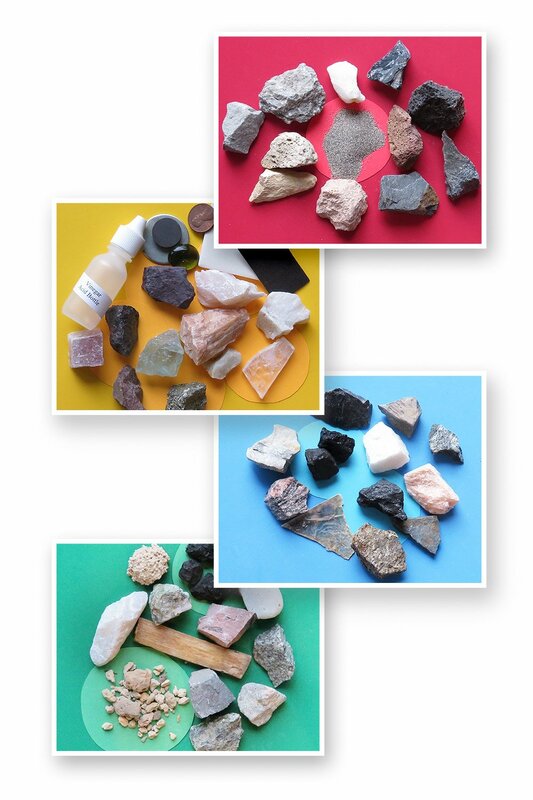 Clastic Rocks Find out how bits and pieces of older rocks form shale, sandstone and conglomerate rocks. 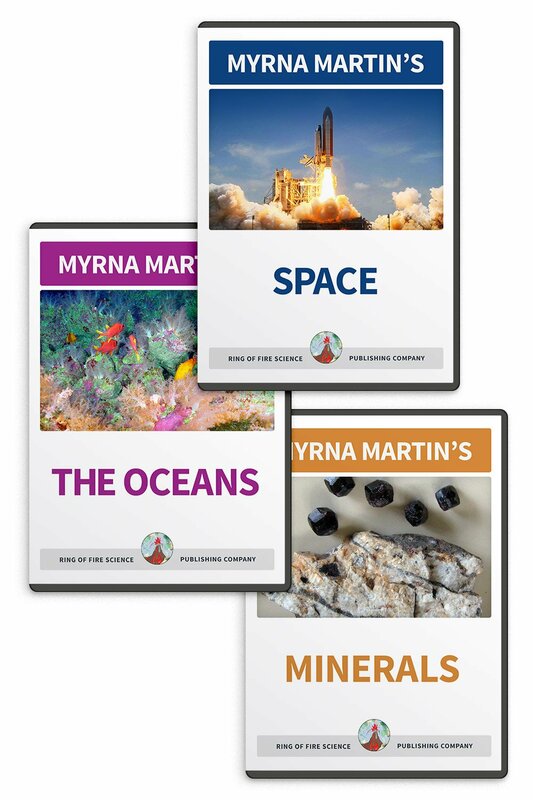 Rock Cycle Learn more about igneous, sedimentary and metamorphic rocks and how they form. 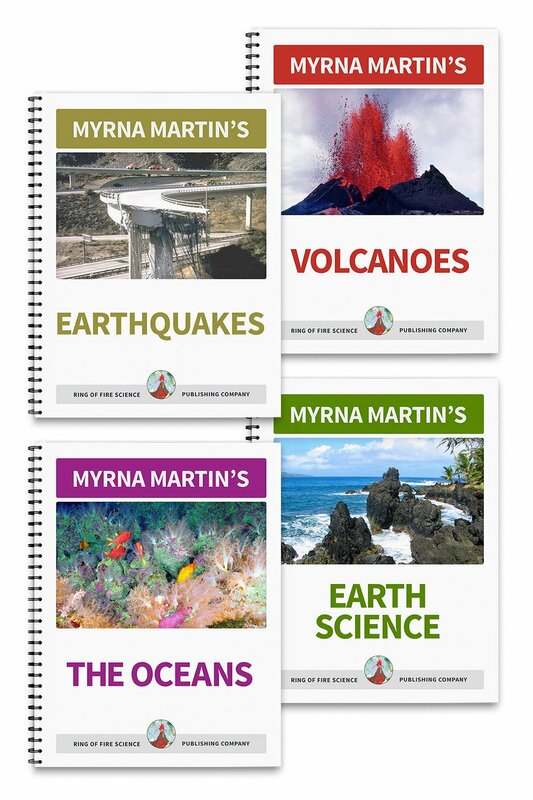 Kids Fun Science The links on our home page include information about volcanoes, science activities, plate tectonics, the rock cycle and much more.